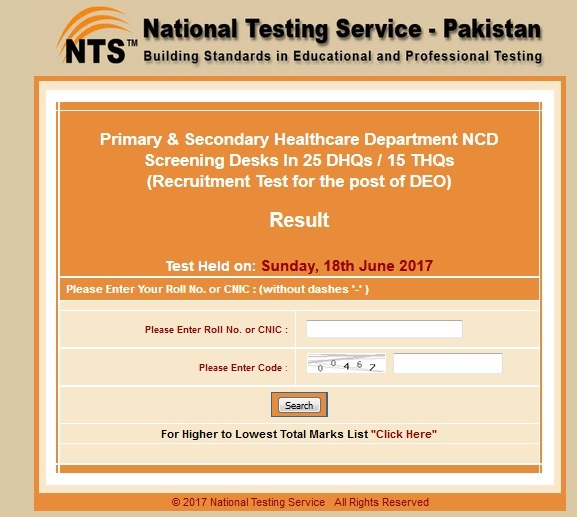 National Testing Service (NTS) of Pakistan has announced the Result of Recruitment test. The written test was held on the June 18th, 2017 (Sunday). The vacant post was advertised by the Punjab’s department of primary & secondary healthcare department. The Government of Punjab is establishing NCD screening desk in 25 districts and 15 tehsil head quarters hospital of the province. It is for pregnant women of the rural areas of the province. call to helpline and registered yourself for free transportation service.